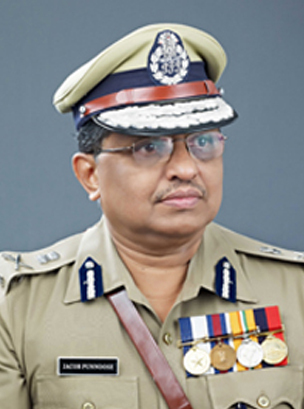 Jacob Punnoose IPS is the ex-DGP and the State Police Chiefof Kerala. He was the City Police Commissioner of Trivandrum and Kozhikode, Joint Excise Commissioner, Zonal IG of Trivandrum and Kozhikode, Intelligence IG, Additional DGP (Training) and Intelligence DGP. He was the Vigilance Director. He was appointed DGP of law and order in Kerala on 26 November 2008.